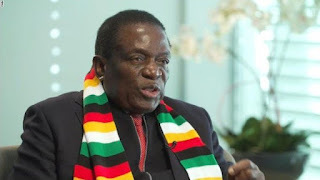 President Emmerson Mnangagwa has installed and sworn in commissioners who will lead a commission of inquiry into the matter of sale of state land in and around urban areas since 2005. The commission to run for a period of 12 months was sworn in today at State House. The commission is being chaired by Justice Tendai Uchena. Other members of the commission are Mr Andrew Mlalazi, Mr Steven Chakaipa, Dr Tarisai Mutangi, Dr Heather Chingono, Ms Vimbai Nyemba and Ms Petronella Musarurwa. President Mnangagwa said the terms of reference of the commission are hinged on five areas among them to investigate and identify all state land in and around urban areas that was acquired and allocated to the Ministry of Local Government, Public Works and National Housing for urban development since 2005. “To investigate and ascertain the status of such land in terms of ownership, occupation and development; to investigate methods of acquisition and or allocation by current occupants and owners of such land; to investigate and ascertain the actors involved in allocation, occupation, and use of the land; to conduct visitations where necessary, summon witnesses, record proceedings and document and manage all the information gathered and findings and make recommendations to the President,” said President Mnangagwa. The problem of illegal acquisition and or allocation of land for urban development near urban settings has been a cause of concern which has seen many families living in unplanned settlements and without basic hygiene facilities due to unscrupulous practices in the allocation and distribution of land giving birth to the phenomenon of land barons.